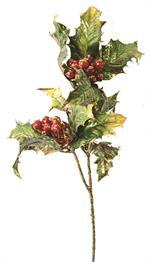 These sprays are a great addition to your festive decorations such as wreaths, porch pots, hanging baskets etc. 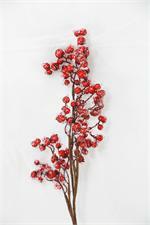 These glitter Christmas sprays are available in red or gold they are about 18'' long and sold each. Perfect for porch pots. 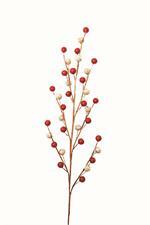 This Christmas pray is perfect for those tall planters or pots, at almost 36'' tall it is sure to make a statement. Red and Green and Christmas sprays, are the perfect way to economically decorate your Christmas wreaths, Christmas baskets, and Christmas porch pots. Sold each. 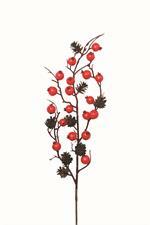 These red or gold sprays are perfect for decorating your Christmas baskets, pots, or centerpieces. There is 24/bag please select the color you would like. Water resistant berry cone pick. Cedar sprays are perfect for a long lasting great looking alternative in your decorating for Christmas, floral, and crafts. Approx 18'' long, 8 sprays per bag. 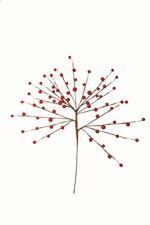 These Curly Ting Ting sprays are an excellent filler for floral arrangements. 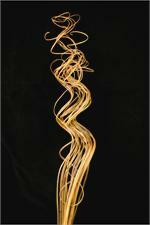 Approx 24'' tall, 24 stems per bunch. 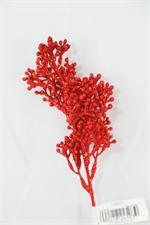 This berry spray looks like a holly branch covered in snow and ice crystals, at 20 inch long and sold each. 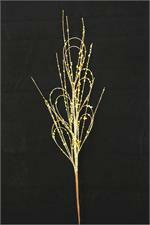 Breathtaking glitter gold spray, approximately 20 inch long, has bright circle leaves covered in large flake glitter. Also available in lime green. 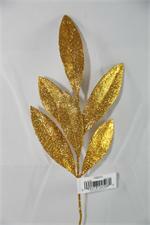 These glitter leaves are available in gold or green for Christmas. 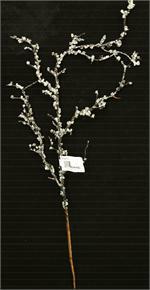 There is 12 stems per bag they are sure to be a hit with your customers. 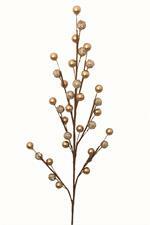 Iced twig picks add a wintery touch to wreaths, arrangements, or anything else you might add them to.